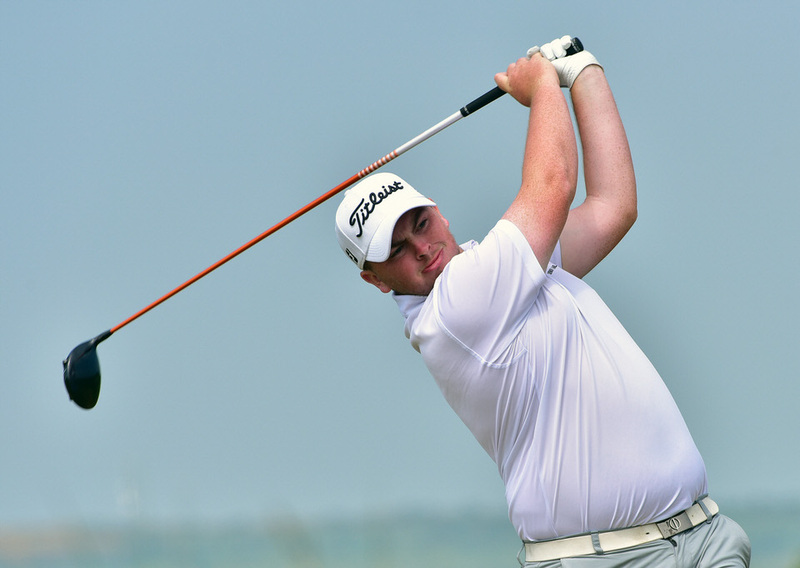 Caolan Rafferty followed a runner-up finish in the R&A Scholars Tournament and a win in the West of Ireland Championship with a fourth place finish in the European Nations Championship in Spain. The Dundalk man (26) closed with a one-over 73 at Real Club de Golf de Sotogrande to finish just two strokes behind England’s Tom Sloman on eight-over par. Overnight Sloman signed off with a 77 but had enough to win by one stroke from Spain’s Victor Pastor and Germany’s Yannik De Bruyn on six-over par. As a result, England won the team title by eight strokes from the Netherlands and by nine from Ireland, who had a final day hero in Naas’ Robert Brazill. After rounds of 80, 79 and 80, Brazill was one of just two players to break 70 all week, closing with a 69 to finish tied for 37th on 20-over 308. Two-over after making three bogeys and a birdie his first 10 holes, Brazill birdied the 11th, 12th, 14th, 15th and 16th for his 69, matching Welshman Archie Davies as the only man to break 70 all week. Portmarnock’s Conor Purcell was tied 11th on 10-over after a 74 with Kikenny’s Mark Power tied 25th on 13-over after a discarded 77.